The Schools All Ireland cross country championships were held in cold, wet and windy conditions at the University of Ulster, Belfast last Saturday. 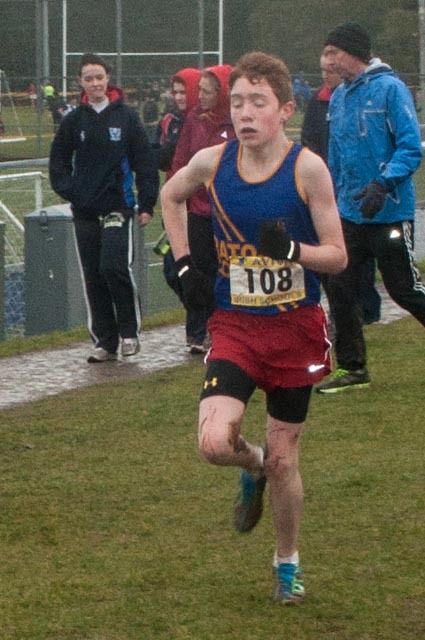 Philip Marron followed up his great run in the Leinster championships with another superb performance, finishing 11th. He was subsequently named as second reserve on the Irish schools international team that will compete in Wales in a couple of weeks time. Well done Philip. You did your school and club proud.